Are you running an online business or managing an online blog, then for sure maintaining your website’s security would be a major concern for you. From viruses and phishing scams to large-scale data espionage, the internet is a minefield of cyber threats that need to be avoided at all costs. And that’s the reason why we need to learn ways to make website more secured. What’s more, such online attacks are constantly evolving in terms of both form and complexity, so it’s absolutely crucial to remain one step ahead. So, here are five ways to safeguard your website against malicious encounters. I won’t deny the fact that those little pop-ups that appear every now and then reminding everybody to run a software update are really annoying at times. And yes, it can be extremely tempting to postpone them – or worse, ignore them altogether. 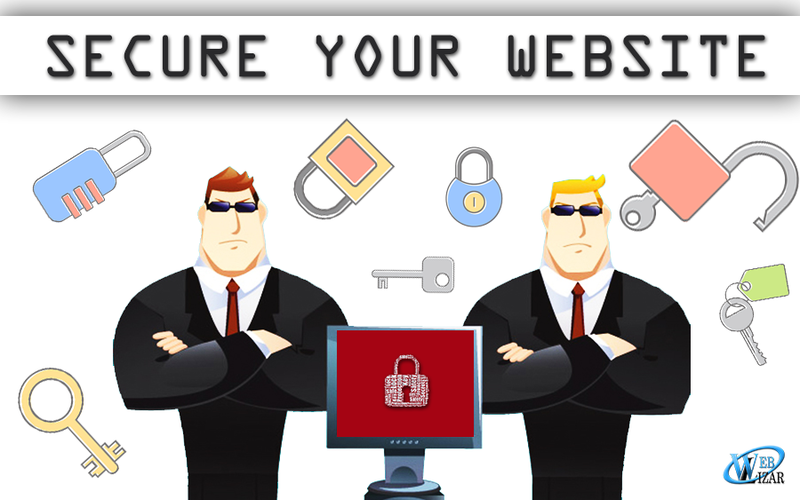 However, in doing so, you are making your website an easy target for cyber criminals. If you are running your site via a managed hosting solution, the hosting company itself should see to it that all necessary security updates are applied to the operating system. However, when it comes to third-party software, maintaining tight security is down to you – and it’s essential to be vigilant. Third-party software can be anything from Content Management Systems (CMS) to the software you use to run a forum on your site, and the way you are notified of necessary updates will vary from type to type. Whichever systems you are using, get into the habit of checking regularly for updates and, most importantly, install them as soon as they become available. A major issue concerning both website owners and visitors alike is the protection of sensitive data. SSL (or Secure Socket Layer) ensures that data transmitted via a website is encrypted, making it much more difficult for cyber criminals to intercept. Websites protected by an SSL certificate will have “HTTPS” as part of their web address, whereas unsecured versions simply appear as “HTTP.” Ideally, new websites are developed with SSL encryption, but it is also possible – and advisable – to convert older sites to the HTTPS version. This can be done by obtaining an SSL certificate, installing it on the server and effectively redirecting your website content to the new secure version. A complete step-by-step guide to converting your site to HTTPS is available for you. You can also get a free SSL certificate through this. A Web Application Firewall (or WAF) acts as a virtual security guard, monitoring the traffic to and from your website and identifying any unusual or potentially dangerous behavior. A WAF can be cloud-based or appliance-based, and functions as a filter in front of your site, analyzing requests in accordance with a rule base – that is, a set of rules determining what is and isn’t permitted. One major advantage of a WAF is that it acts in real-time, giving you a better chance of detecting a potential threat before any real damage occurs. Whilst it may seem like a no-brainer, tough passwords form a crucial part of your armor against cyber attackers. In addition to setting complex passwords for the administrative areas of your site, it is important to ensure that visitors to your site are just as vigilant. You can encourage users to set more secure passwords by imposing certain requirements, such as a minimum number of upper and lowercase characters, as well as numbers and symbols. Combination of all these creates a really good and unique password which is comparatively hard to breakthrough. As the website owner, you are also responsible for storing passwords in encrypted form, making it harder for hackers to get hold of them. You can also add another layer of security by using a technique known as salted password hashing. Finally, an effective way to ensure your site is well-protected is to test it. Penetration testing – or pen testing for short – can be carried out using free online tools such as ScanMyServer and SucuriSiteCheck. These tools will attack your site in much the same way that a hacker would, subsequently alerting you to the most vulnerable areas. Testing your site and reviewing your security strategy on a regular basis will help you to remain one step ahead, decreasing your chances of falling victim to a malicious attack. The steps written above ain’t new to many people, but the way you can implement them can make your site more secured and less vulnerable to all the habitual hackers. Also, learn how can you handle your website’s SEO all by yourself and some Factors For Mobile SEO Ranking 2017.